You are browsing the Blog for alaskan seafood. Contact Otolith to place an order today for your superior white king salmon, halibut, sablefish and rockfish fillets. 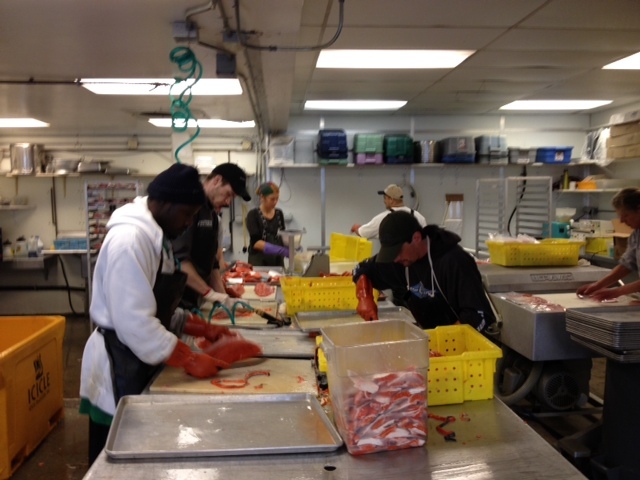 Or spend less and get more with Community Supported Seafood. 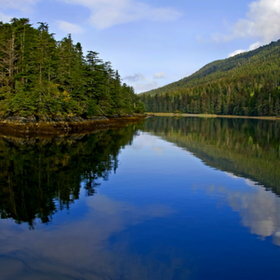 CSS 2018 Spring harvests deliver in April and provide discounted access to responsible harvest wild seafood every season via wwwcommunitysupportedseafood.com . Otolith’s connects your power with our knowledge and uses our combined interest to generously support the harvesters who work on our behalf. It feels wonderful to eat superior wild seafood and enjoy the convenience of having it available in your freezer ready to be cooked at your convenience. The taste is better than fresh. Its First Fresh Cut™ and sushi grade. The powerful omega-3’s naturally present in all of Otolith’s wild seafood will improve the health of your body on a cellular level. You may experience increased quality of life associated with being satisfied, receiving the nutrients your body craves, and having friends who want to have dinner at your house. 1. Rinse salmon; pat dry with paper towels. 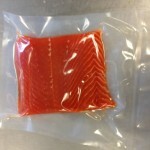 Place salmon in a large resealable plastic bag set in a shallow dish. For marinade: In a medium bowl, stir together the water, cider, and kosher salt until salt dissolves. Stir in snipped tarragon and pepper. 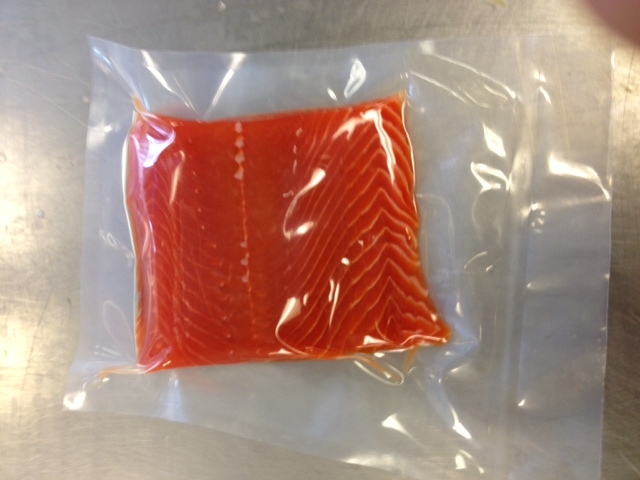 Pour over salmon; seal bag. Marinate in the refrigerator for 4 hours, turning bag occasionally. 2. Preheat broiler. Line a baking sheet with foil; lightly coat foil with nonstick cooking spray or oil. Drain salmon, discarding marinade. Pat salmon dry with paper towels. Discard brine. 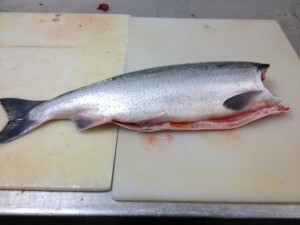 Place salmon, skin side down, on prepared baking sheet. Brush salmon with olive oil. 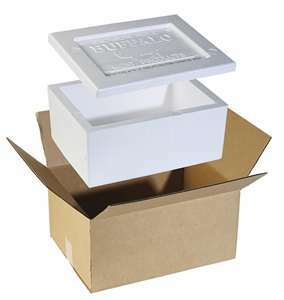 Broil 5 to 6 inches from the heat for 5 to 7 minutes or until fish flakes when tested with a fork. Remove from broiler; and cover with foil to keep warm. 3. In a small saucepan melt butter over medium heat. Add shallot; cook and stir for 4 to 5 minutes or until tender. Stir in flour. Cook and stir for 1 minute. Add wine, cream, mustard and 1/2 teaspoon salt, whisking until smooth. Cook and stir until thickened and bubbly; cook and stir 1 minute more. Remove from heat. Place salmon on a serving platter. Drizzle with sauce. If you like, garnish with tarragon springs. Makes 4 servings. Located: 18th & Walnut Streets, on south sidewalk of Walnut St between 18th St and 19th. 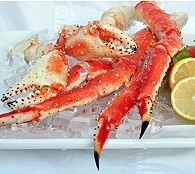 Buy Otolith’s King Crab and have your order delivered to your home in Philadelphia FREE of charge by Otolith. Call or email for more information.